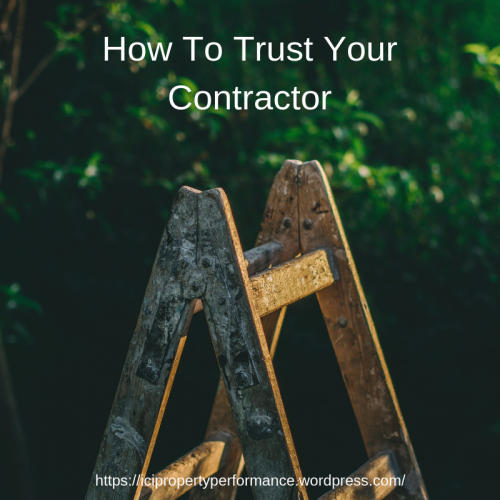 How to Trust Your Contractor - Darmax Inc. Note: While this article is focusing mainly on commercial/multi-unit properties/projects, the advice you’ll find below likely fits for all types of construction. Get proof of insurances – if they hesitate … run! Interview them – think of it like as if you would if hiring an employee (essentially you are). Ask for references – I’m a little skeptical about this one. We’ve had employees turn out not so great even with glowing references so take them in stride. One article even mentioned “trust your gut” as a handy piece of advice. Oh if only that were enough! The hard truth is, while these things are helpful, they still don’t ensure a smooth project or relationship with your contractor. Like any good relationship, it takes a bit of time to build trust. Here are our 5 Ways to Get to Trust Your Contractor. Know your building code: You don’t need to know it in depth but it’s good to have a general knowledge of minimum requirements for your building/property. Know your building/property, then walk your prospective contractor through it. It’s easy to be bamboozled if you are completely unaware of what’s in your building and don’t at least have a working knowledge of the systems. Let them know how you work: If you have a work flow process for work orders, quotes, approvals or payments, let your contractor know what that process is and what you need from them to support it. Understand the difference between a contractor, an engineer, an architect and a designer. While your contractor may have a flair for design or in-depth knowledge of structural or mechanical aspects of your building, they may not be the best person to make some of the most important decisions for you. With that said, it is a great idea to have your contractor meet with these professionals – we’ve found that architects create pretty things that may not work on a practical level, and engineers can often over-engineer your systems and seriously affect your budget – your contractor will be able to help you make the best decisions for the long run. Document your meetings / requirements. Let’s face it, most of us are super busy and ultra distracted these days; don’t let things slip. Make and share notes, have clear action items and ownership of work packages. If nothing is documented, it’s hard to know when or how work will be done, if your project is out of control or if it’s finished. Documentation can also save you from strained relationships and litigation. Let’s hope it doesn’t come to that! The building/construction industry can be a bit intimidating and projects can be unnecessarily costly if you don’t first educate yourself – even just a little bit. Armed with this information, you’ll be able to have better conversations with your contractor, build trust with them faster and protect your investment for years to come.